The popular poster showing MOA classification by group and chemical structure has now been translated into Spanish, Chinese and Portuguese. Further translations are planed in the future. To view or download the files click on the appropriate link: English, Spanish, Portuguese, Chinese. 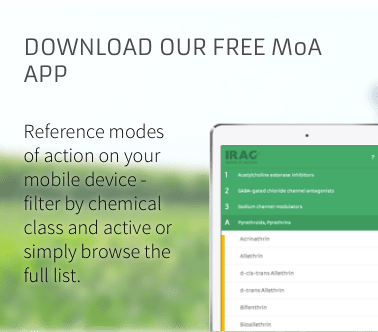 Full information on the scheme can be found in the IRAC MOA Classification document.